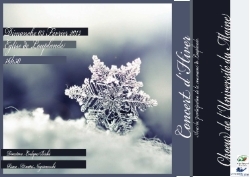 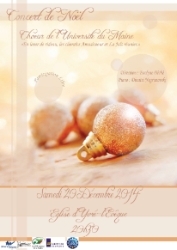 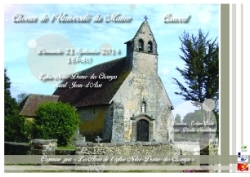 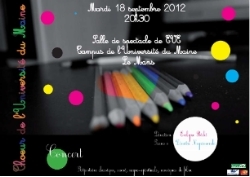 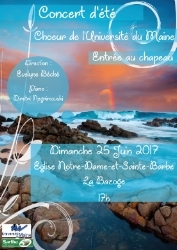 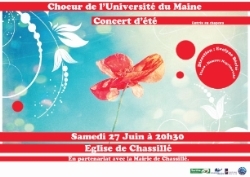 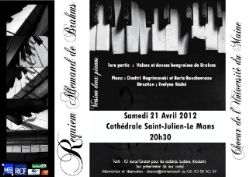 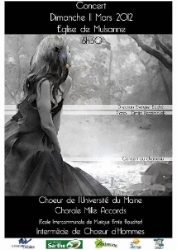 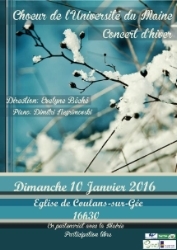 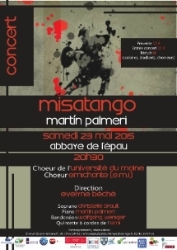 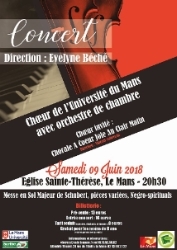 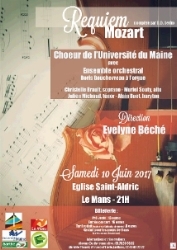 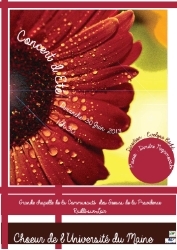 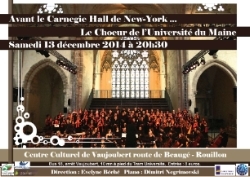 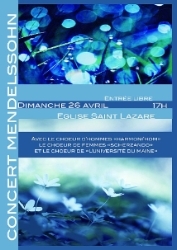 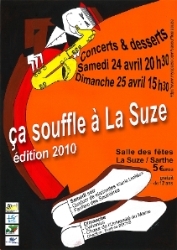 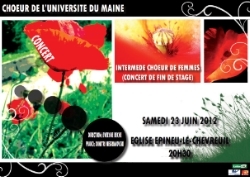 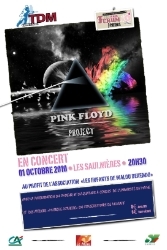 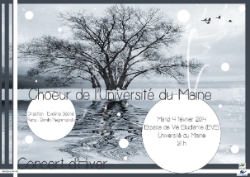 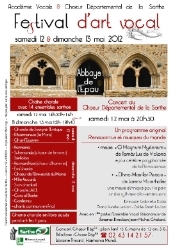 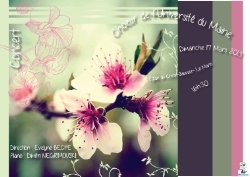 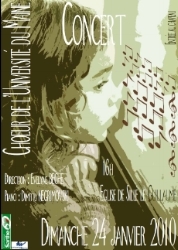 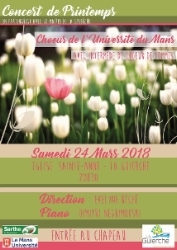 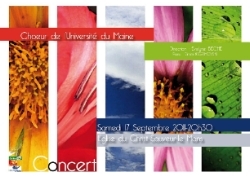 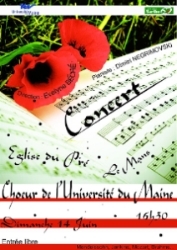 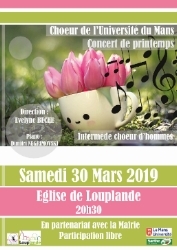 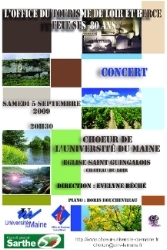 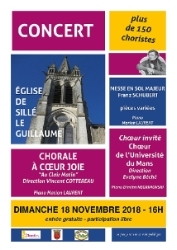 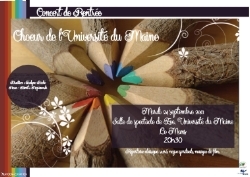 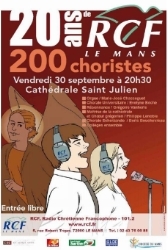 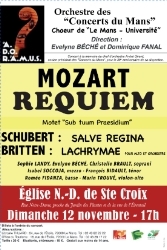 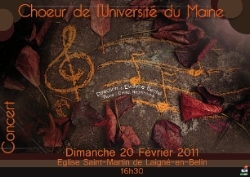 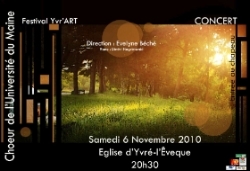 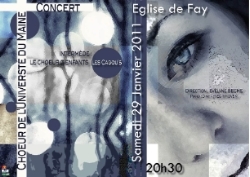 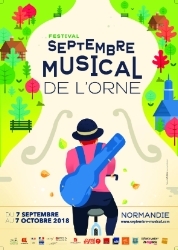 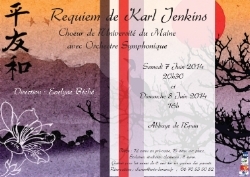 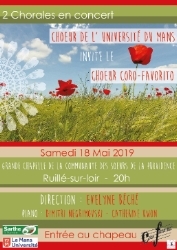 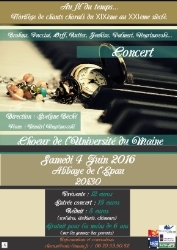 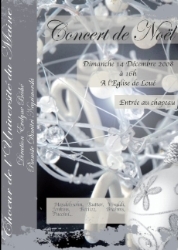 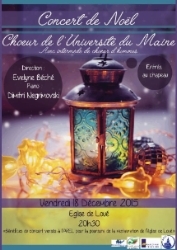 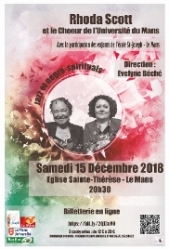 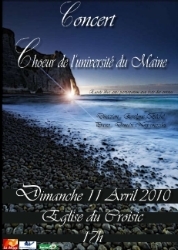 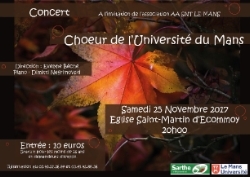 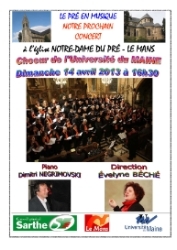 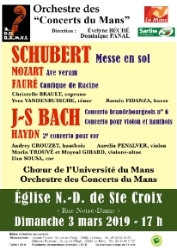 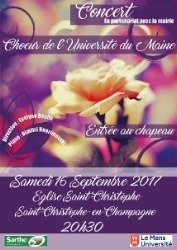 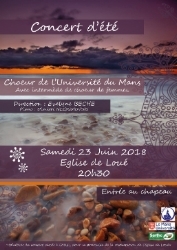 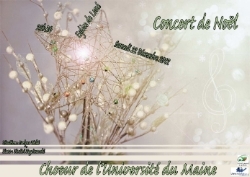 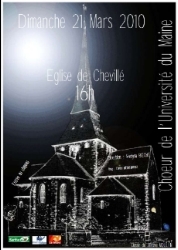 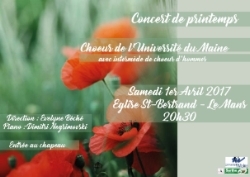 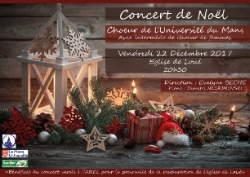 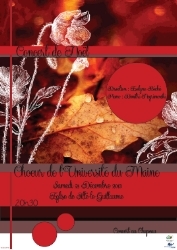 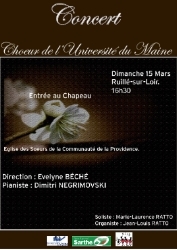 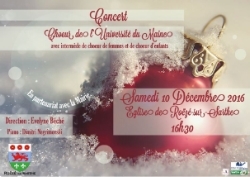 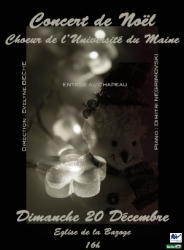 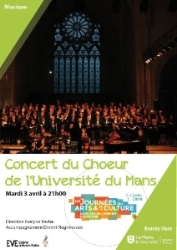 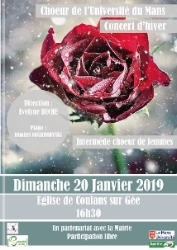 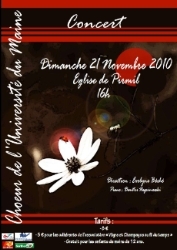 The posters of the concerts of the Choir of the University of Le Mans are all made by Manon Moulin Béché (except those with (*) in the caption). 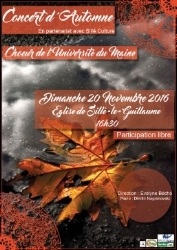 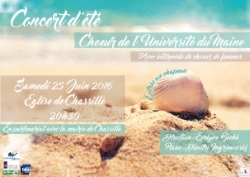 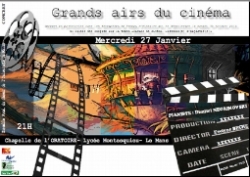 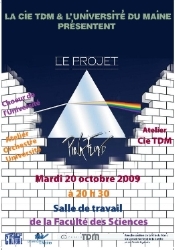 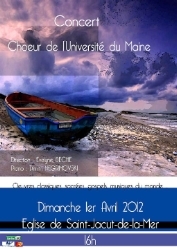 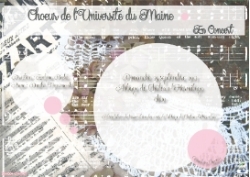 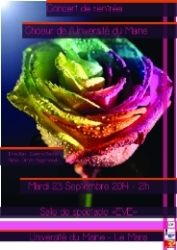 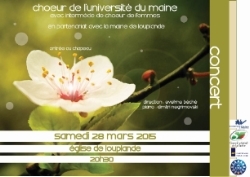 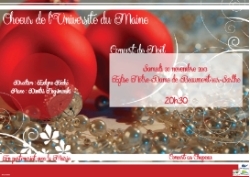 Contact: chorum@univ-lemans.fr or facebook or website. 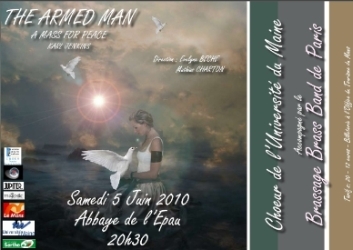 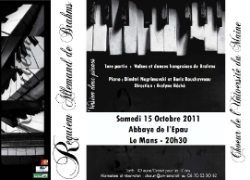 Music movies (J. Williams) and excerpts of the Armed Man Mass (K. Jenkins) - Abbey of Epau (Le Mans). 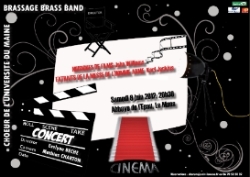 With the group of brass and percussion section orchestra "Brassage Brass Band". 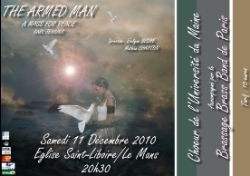 The Armed Man Mass (Jenkins) - Abbey of Epau (Le Mans) and Cathedral Ste Clotilde (Paris). 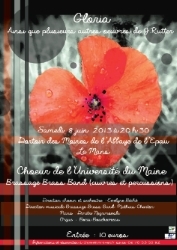 With the group of brass and percussion section "Brassage Brass Band".